When your company holds a holiday party, the most important takeaways are that the employees feel appreciated after they leave the event, that the experience was memorable, and that the group was able to enjoy time with one another. You can always hire the professionals at Big Wave Events, a leading company for event production in NYC, to produce the party for you. 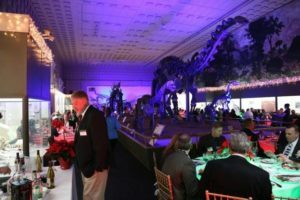 However, to make your holiday party a true success, be sure you think of ways to engender fun and pride in your organization. Do you want to have a luncheon, an evening party, or a budget-friendly party at the office? You don’t want to choose a date that is too close to the actual holiday because many people will be planning trips or other events with their own families and friends. The best time is usually the second or third week of December. It’s up to you whether you want to include spouses, significant others, and children at your holiday party. Depending on the day and time, it may not be appropriate to invite children. It is a nice gesture to include spouses/significant others especially if the party takes place over a weekend.